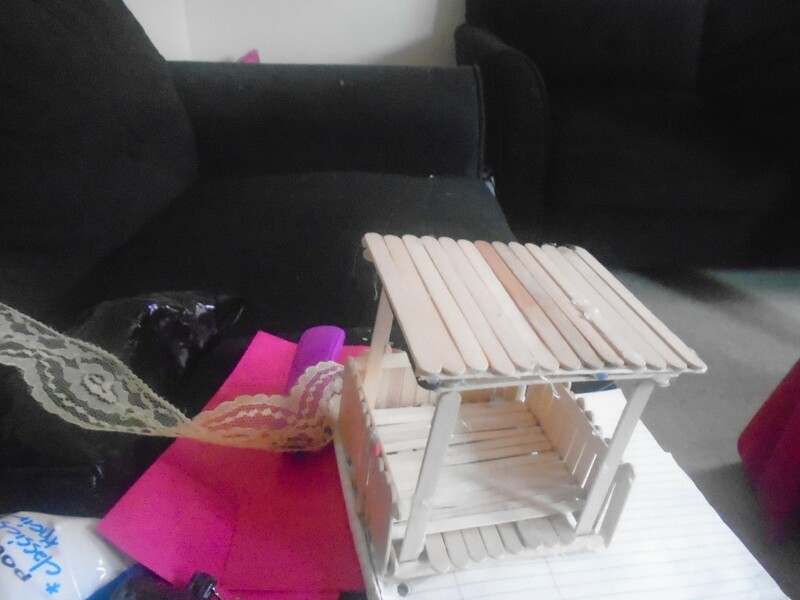 I made a Popsicle stick gazebo and bench for my girls' Barbies. 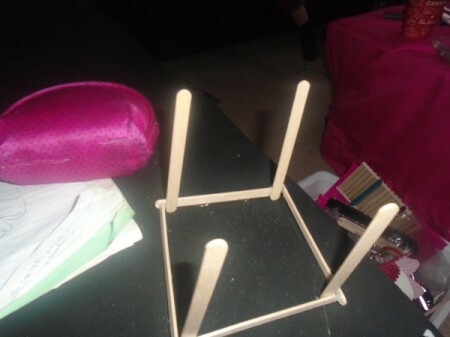 Glue four Popsicle sticks, standing on their edge, together in a square. 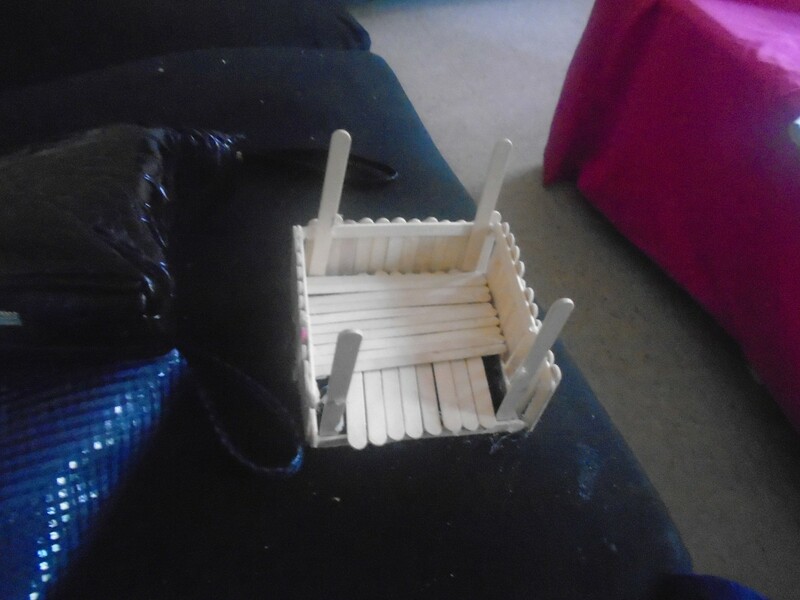 Glue one Popsicle stick in each corner standing up vertically. 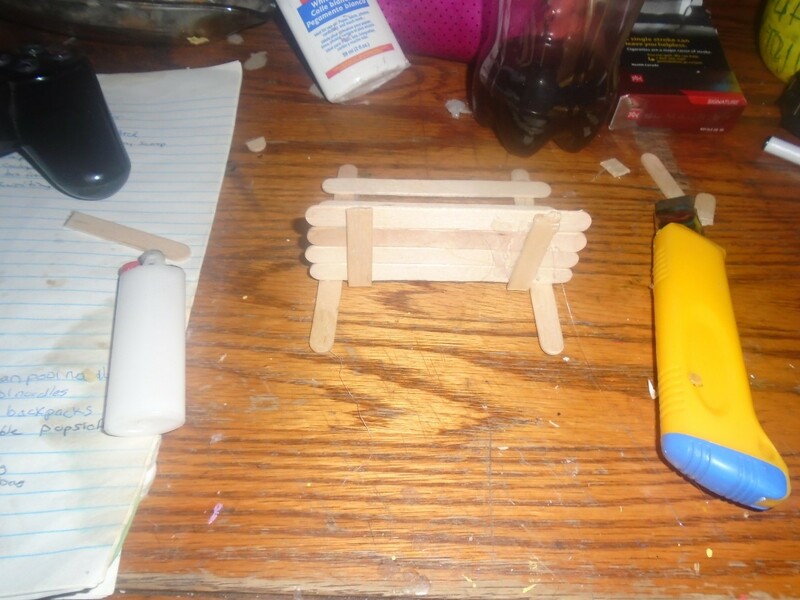 Glue a Popsicle stick around each of three sides about 1 inch up from the bottom. 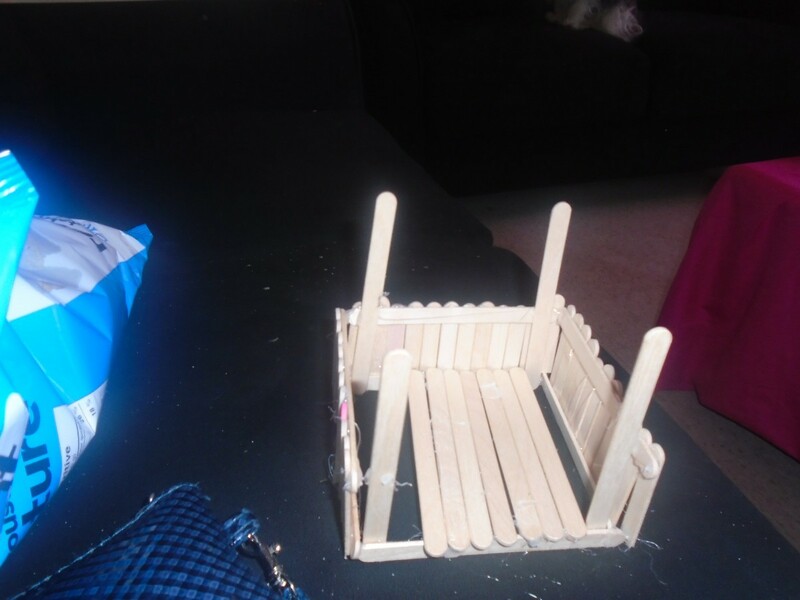 Cut about 11 Popsicle sticks in half for each side of your gazebo. Use your ruler to measure. Then glue them onto the three sides vertically. 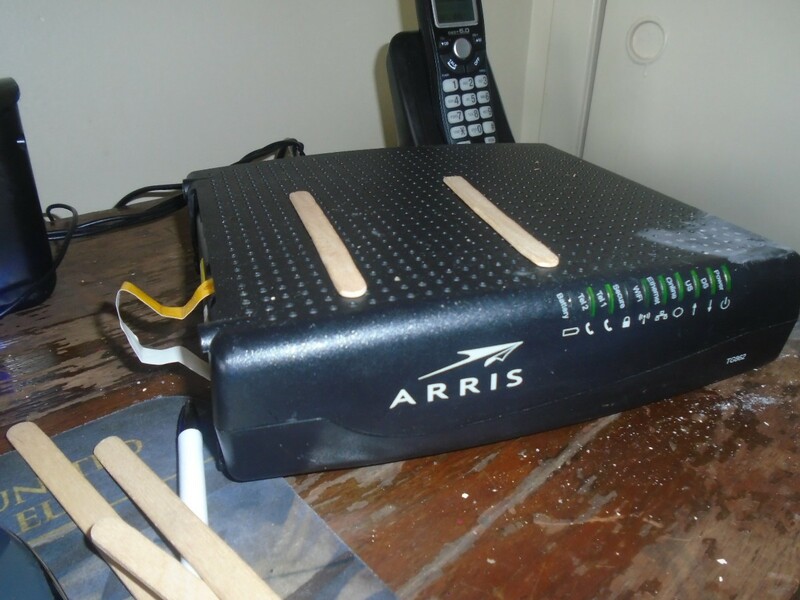 Start glueing your Popsicle sticks to make your floor. 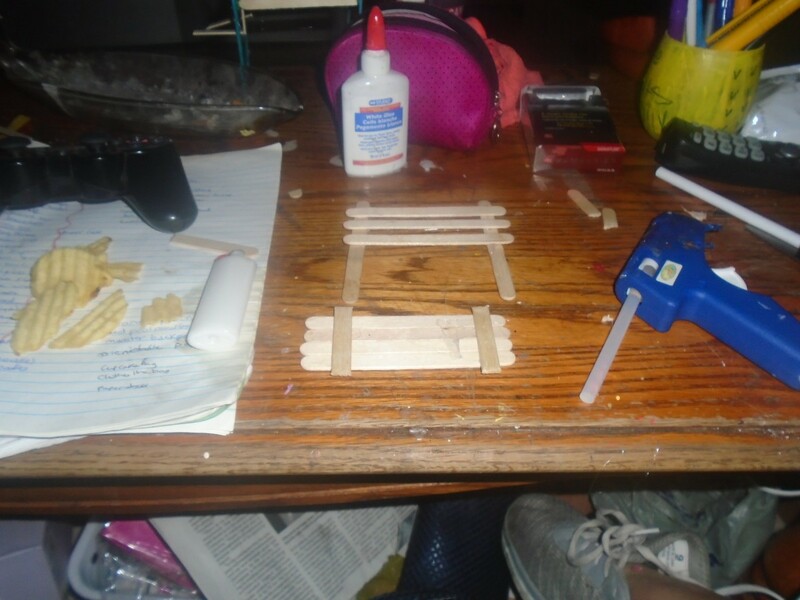 Using thin coffee stirrers, I went the opposite way and glued them horizontally over the top to make the floor sturdier. 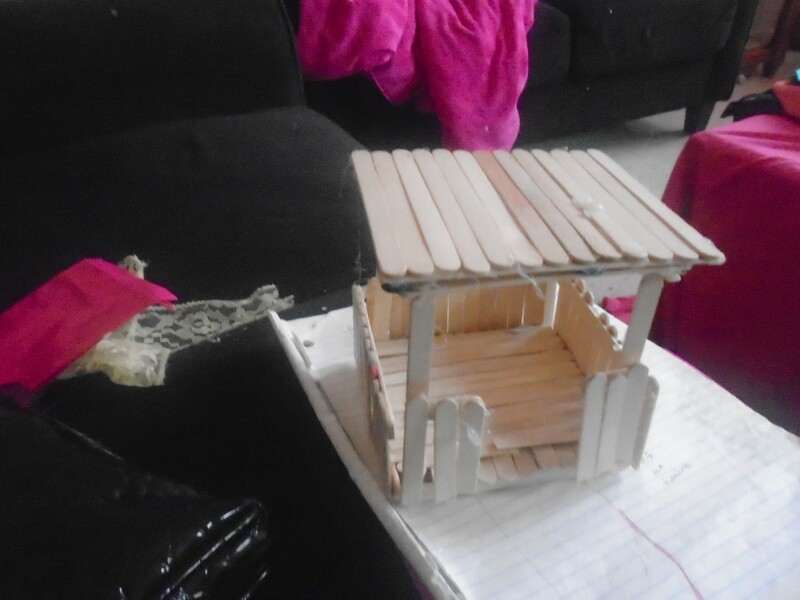 Glue four Popsicle sticks into a square for your roof. 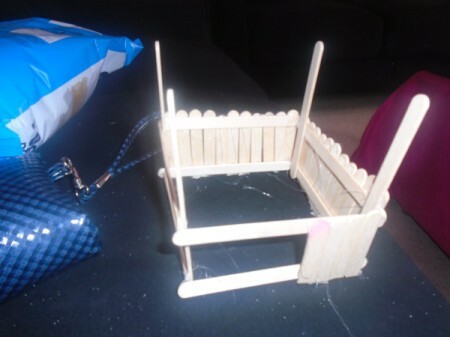 Fill in with Popsicle sticks. 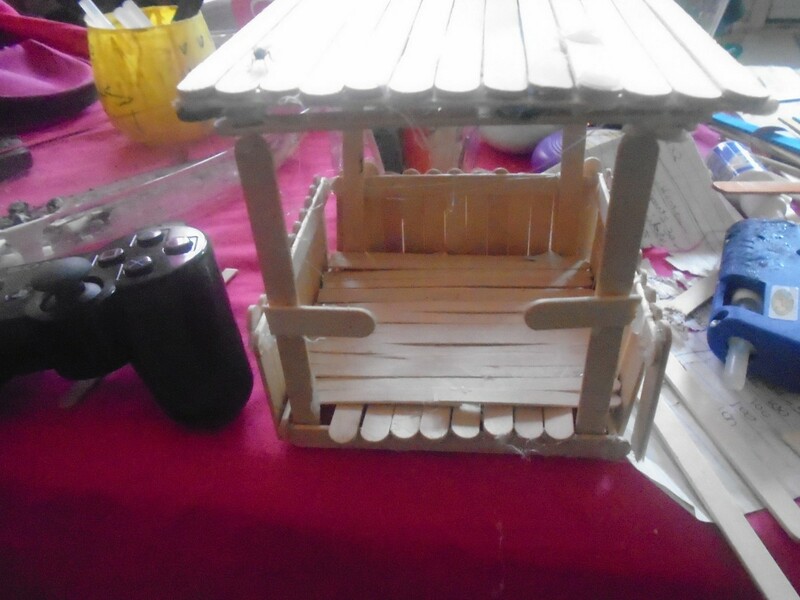 Glue to the four sticks on your gazebo. Cut two Popsicle sticks about 1 inch in length, glue half way up the front vertical supports of your gazebo. Add three, cut, Popsicle sticks to the ones you glued halfway up on the front horizontally, use your ruler to measure. Glue your ribbon around the roof of your gazebo. The bench is really easy. 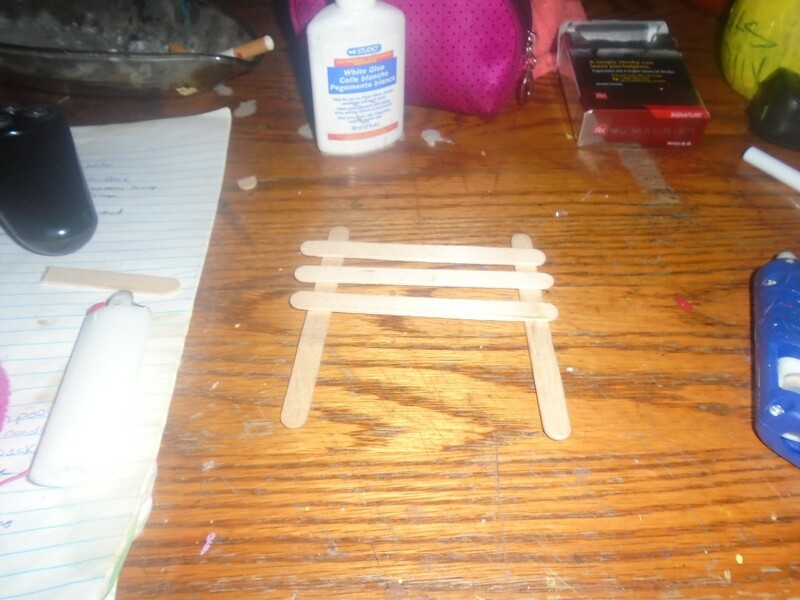 Lay two Popsicle sticks down parallel to each other. Glue three sticks about 1 cm apart horizontally to the two parallel sticks. 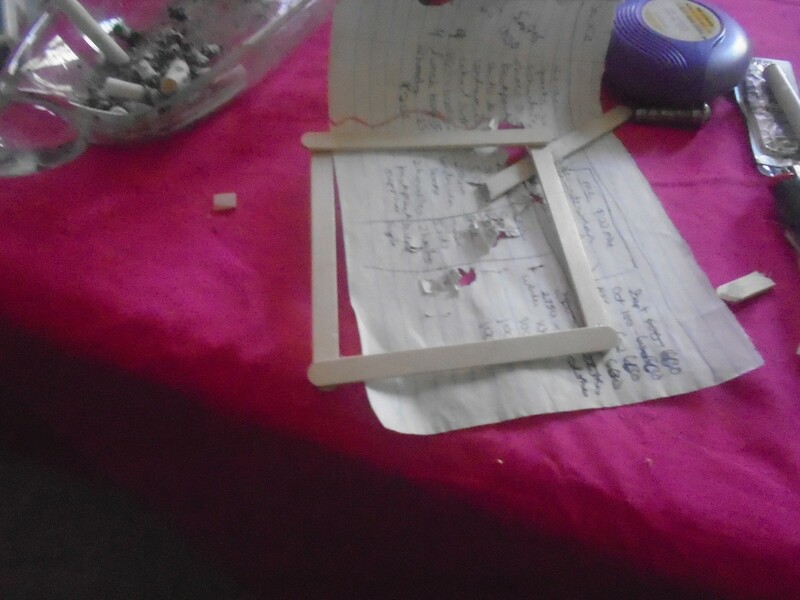 Cut two sticks the same length, and glue to the four sticks vertically. 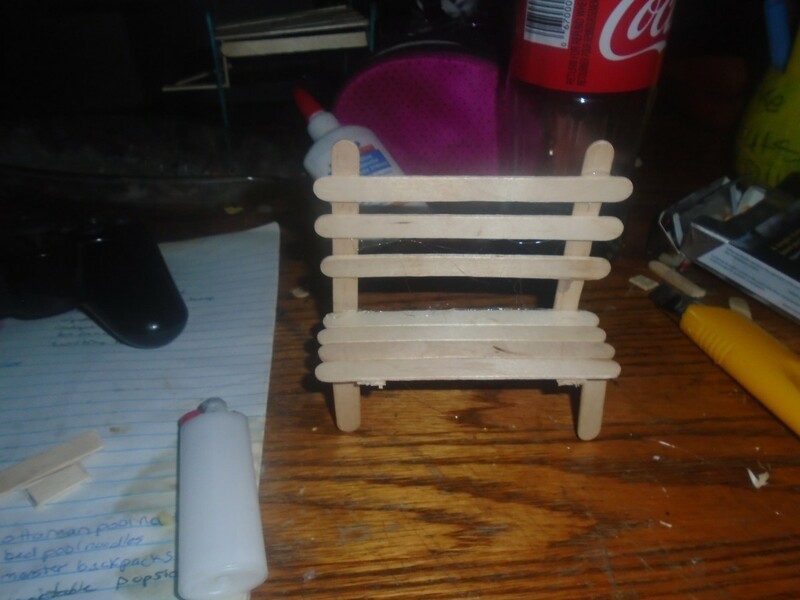 Glue that piece to the first one you made at the bottom of the third stick. Measure the two legs on the bench. 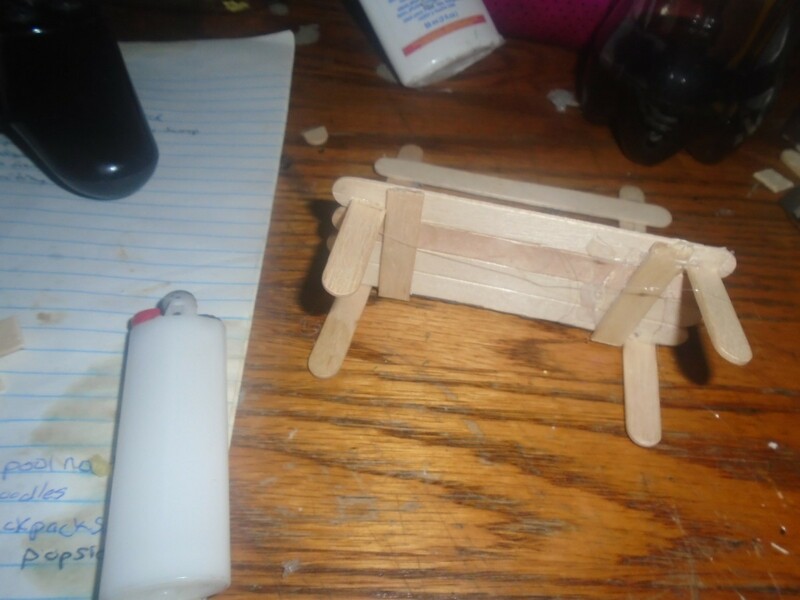 Cut two Popsicle sticks for the front legs, glue on the bottom of the bench and you're done.